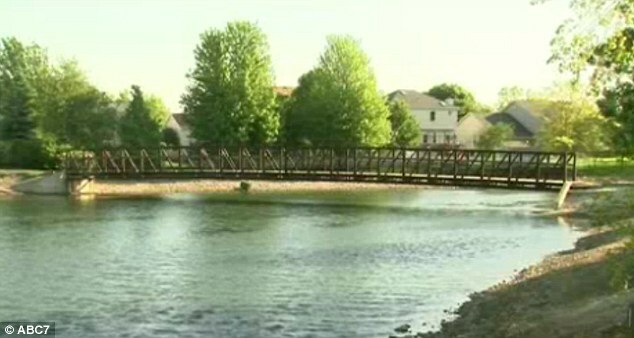 An 11-year-old girl who drowned in a pond behind her school is thought to have jumped off a bridge after being dared by her classmates. Jordan Oliver was overheard telling friends she couldn’t swim shortly before she leapt into the water in what was believed to be a game of ‘bridge jumping’, it has been claimed. The youngster had already jumped from the bridge once and had managed to pull herself to safety. However, on her second attempt witnesses saw her first resurface before disappearing under the water, it has been reported. 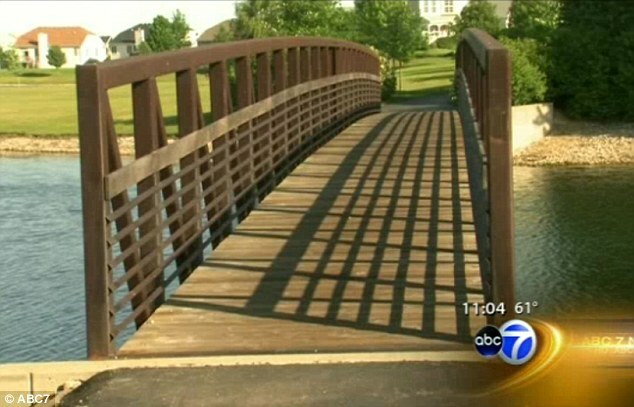 Her lifeless body was pulled from the 12-foot deep pond in Bolingbrook, Illinois, about an hour after emergency services arrived, police said. She was taken to Adventist Bolingbrook Hospital where she was officially pronounced dead. The girl was thought to be part of group of seven boys and girls who climbed over the barriers of the bridge behind Pioneer Elementary School, where they were students. According to the television network WGN, witnesses said they heard Jordan tell her friends that she was unable to swim just before she jumped off the bridge. 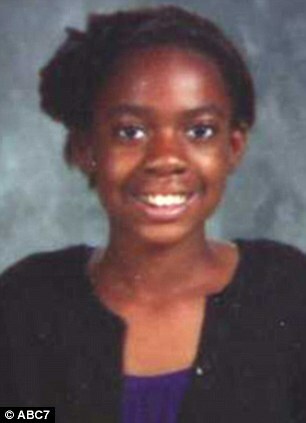 The girl’s father, Jamal Oliver, said the family were taking the loss ‘one step at a time’. The Olivers’ next door neighbour Jackie Malonga added: ‘I will miss her. She’s a sweet angel. I saw her grow. Grief counsellors were sent into Pioneer Elementary School the morning after the death to help the 800 students come to terms with it. The school’s principal, Carmen Killingsworth, said: ‘We are deeply saddened by the sudden and unexpected loss of Jordan Oliver. An autopsy was due to take place yesterday afternoon, according to the county coroner Pat O’Neil.